...Of the children & youth we serve, our investment in and hope for the future Church. Locations and Dates: Coming Soon! Too often, we let the world tell us who we are. But as leaders, we know that our identity and value comes from God. He has NAMED us and tells us who we are. This is an essential foundation for leaders as we seek to point kids to their own identity in Christ. 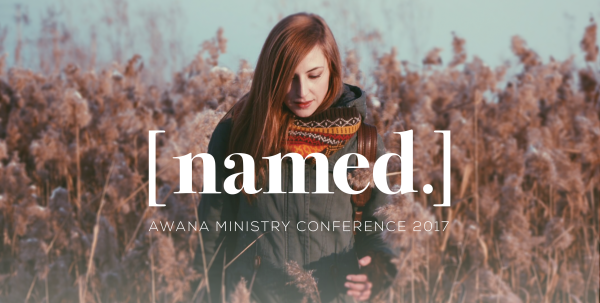 Join us at this year’s Awana Ministry Conference for personal growth, inspiration and practical ideas to empower us in reaching more kids for Christ. Awana Ministry Conferences will be held at locations all around the US this fall. Each one is hosted by a local Awana missionary team and provides a unique experience focused on inspiring, training and connecting local Awana leaders. Pastors, Awana Ministry Directors, Secretaries, small group leaders, and anyone else involved in an Awana club will find value in attending this event.